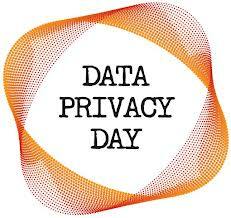 A week from today, January 28, we observe Data Privacy Day. And when I say “we” I refer to a small and shrinking number of souls who wish for, work for and contribute to a world where governments, businesses, and citizens all recognize and respect the individual’s right to privacy. Yes, a right to privacy. A right that was articulated by Louis Brandeis and Samuel D. Warren in the Harvard Law Review in 1890 with the advent of modern media, and that has been debated and tested ever since. I say shrinking because all indications are that awareness, vigilance, and respect are on the decline. Last week USA Today ran a feature that reported consumers are growing increasingly less attentive to their online privacy. And one need only be paying cursory attention to the news since June of last year to observe that there is an intense national dialog unfolding over how the government should balance its constitutional obligation to secure the blessings of liberty with its authority to exercise its certain powers under that same Constitution. Yet even as that debate rages, and even with disclosures that have come to light since Edward Snowden first shared a trove of confidential National Security Agency documents with journalists from the Guardian and Washington Post newspapers, consumers have, apparently, become less interested in protecting their privacy online. I suspect it is because consumers are simply rushing headlong into the world of digital engagement and, with a growing number of options for communicating with each other and doing business with government and consumer services, we are becoming overwhelmed with the task of tracking what we are doing and sharing online. It has become so easy to remotely manage our personal lives that we are choosing convenience over vigilance. We need to be reminded--often--of the risks. At HoGo we believe that it is our job to add our voice to the ongoing effort to raise awareness of the threats to personal privacy online, as well as inform and educate those with whom we come in contact, whether they are users of our document protection and distribution service or not. We made the decision before we launched the company that adding our voice to those already engaged in privacy awareness would be imperative to our mission. Alone HoGo may not yet reach the multitudes, but we can reach some. And together with like-minded companies and organizations we hope to reverse the trend described by Jacqueline Beauchere, director of Trustworthy Computing, Microsoft, in the USA Today feature, who included among her recommendations, “protect sensitive information.” That is, after all what HoGo is about. If you regularly engage the public, we hope you will add your voice to the effort as well.